CNMAX Stainless steel tubing products have been successfully used in some of the most aggressive subsea and downhole conditions and we have a long proven track record of supplying products that meet the strict quality requirements of the Oil & Gas and geothermal energy sectors. • Diameter from 3mm (0.118``) to 25.4mm (1.00``) OD. • Wall thickness from 0.5mm (0.020``) to 3mm (0.118``). • Typical sizes: 1/4`` x 0.035``, 1/4`` x 0.049``, 1/4`` x 0.065``, 3/8`` x 0.035``, 3/8`` x 0.049``, 3/8`` x 0.065``. • OD tolerance +/- 0.005`` (0.13mm) and +/- 10% wall thickness. Other tolerances are available on request. • Coil lengths up to 13,500m (45,000ft) without orbital joints depending on product dimensions. CNMAX offers coiled control line in stainless steel and nickel alloys. 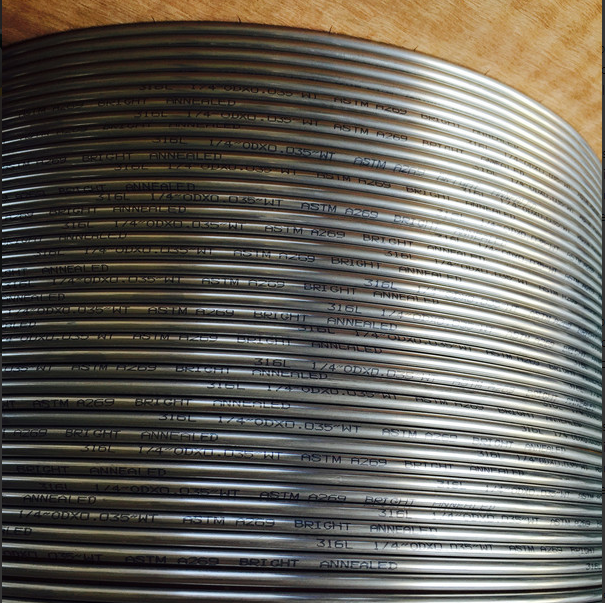 Looking for ideal Bright Annealed Coil Tubing Manufacturer & supplier ? We have a wide selection at great prices to help you get creative. All the Seamless Coil Tubing are quality guaranteed. We are China Origin Factory of SS316L Coil Tubing. If you have any question, please feel free to contact us.